I've been photographing Ryan Avery since she was still growing in her mom's belly! I took mom, Brooke, maternity photos in July of last year. About a month later, Ryan was born! The maternity session took place outdoors at Horseneck Beach in Westport around sunset, and I still love them to this day! Mom had signed up for my Grow With Me Package, which is an entire year of photos! I have been able to capture maternity, newborn, three months, 8 months, and now one year. I remember Ryan's newborn photos so well, she was such a good baby! I got some beautiful photos, of this gorgeous girl. I can't believe an entire year has just flown on by! I'll be sure to share some comparison photos throughout the blog! 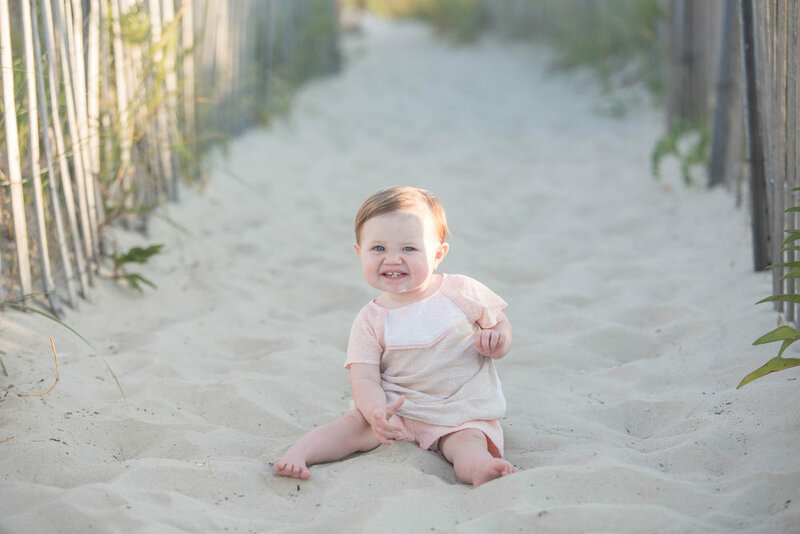 For Ryan's cake smash theme, Brooke has suggested the idea of taking the photos at Horseneck Beach. The same exact spot we took her maternity photos. I LOVED that idea so much! It will be so wonderful to compare the photos, and see how much has changed in such a short time. Brooke came up with a pink and white color scheme. So girly and pretty, and just perfect for Ryan! The cake was made by the ever amazing Kristin from The Cupcakerie, located in Cranston, RI. She bakes all of my cake smash cakes and I adore her work. Brooke wanted a simple cake, but I think every little girl would love this cake! The ruffles and ombre really make this came so pretty! This is probably one of my favorite cake smash sessions to date. Fun themes such as this are always so fun to plan! Here are lots of photos from Ryan's one year photos, and her cake smash as well. I hope you enjoy them as much as I loved capturing them.